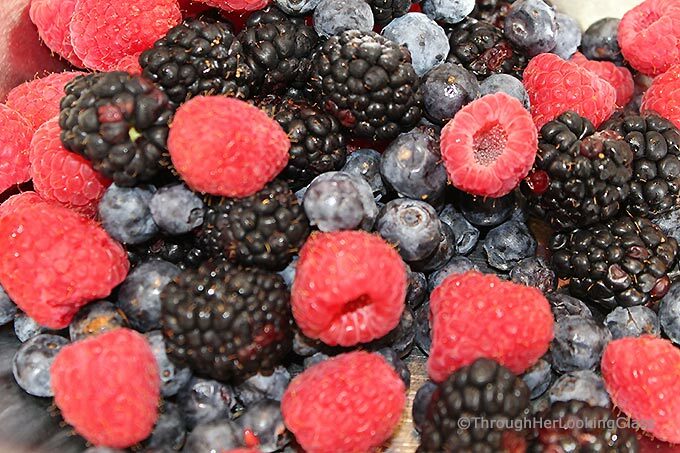 In June and July we often frequent a picking farm south of us that has all the berries – strawberries, blackberries, blueberries and raspberries too. Soooo sweet and juicy, bursting with summer flavor. We pick and use what we can fresh, then freeze the rest for smoothies, crumbles, cobblers and pies the rest of the year. But no berry bushes. So we’re thinking about planting some. It will be a good investment for sure – more cobblers and crumbles on the horizon! 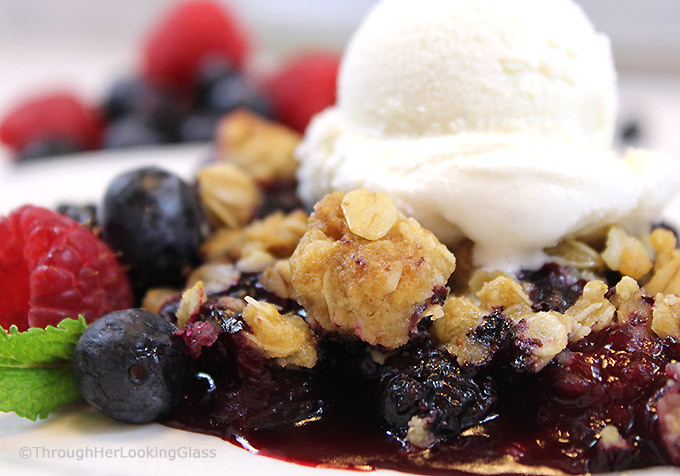 This Summer Triple Berry Crumble Recipe is so easy to make. 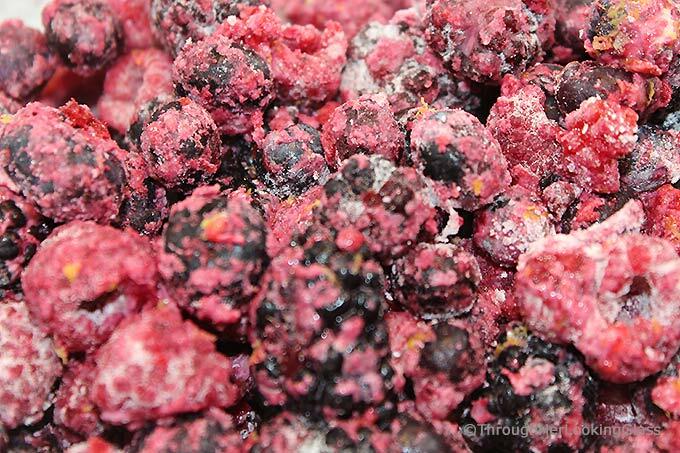 Mix the berries (fresh or frozen) with flour, sugar, lemon juice and lemon zest. Then mix up the crumble topping with a fork. Spoon that crumbly mixture on top of the berries and bake. It’s that simple! 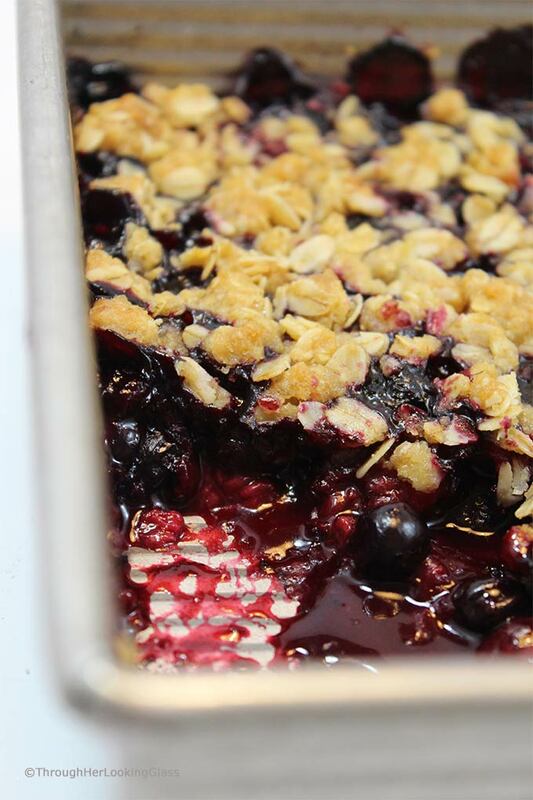 Even a novice baker can make a fabulous sweet berry crumble to rave reviews. Serve warm with a splash of cream or a scoop of vanilla bean ice cream. Use fresh or frozen berries or a combination. Serve warm with a splash of fresh cream or a scoop of vanilla bean ice cream. Leftovers make for a delicious breakfast! Other crumbles you may enjoy: Simply the Best Apple Crumble, Strawberry Crumble or Gluten-Free Rhubarb Crumble Recipe. Grease an 8" X 8" X 2" baking pan. Set aside. In large mixing bowl, gently combine sugar, flour, and cinnamon together. Add mixed berries and gently combine. Stir in lemon juice and lemon zest. Spoon fruit mixture into prepared 8" X 8" X 2" pan. 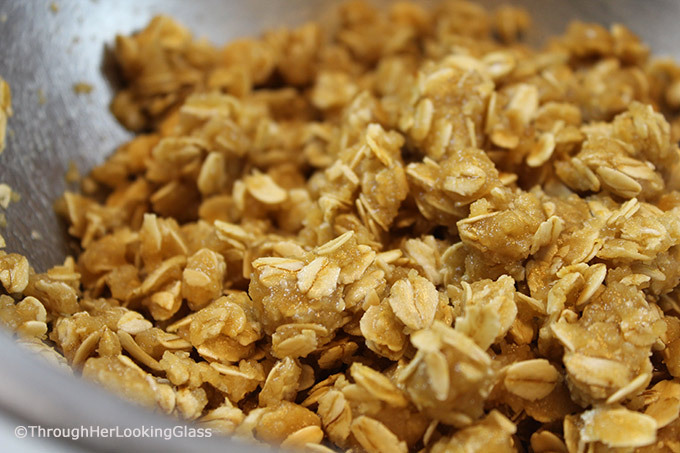 Separately in small mixing bowl, stir together rolled oats, flour and brown sugar. Stir in melted butter with a fork until crumbly. Sprinkle oatmeal topping lightly over filling in baking pan. Bake uncovered for 45 minutes or until golden brown. 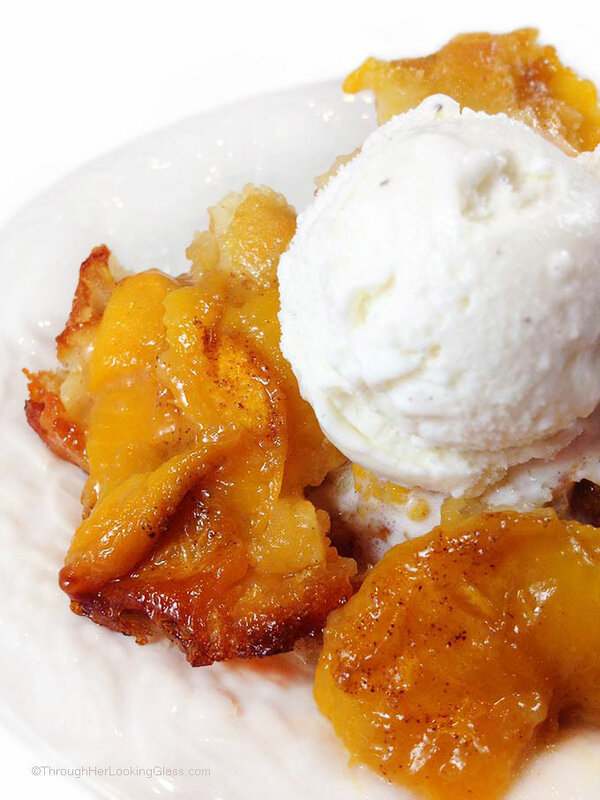 Serve warm with a splash of fresh cream or scoop of vanilla bean ice cream. Oh man - I’m so hungry for this right now!!! Thanks so much Sheryl! It disappeared pretty fast around here. What a wonderful, yet simple dessert—now I know what to serve for our out -of -town guests this weekend! Thanks for another great idea! My kind of dessert! Mostly delicious fruit! Thanks so much, Allie! Yes!! I love the fruit desserts too - perfect summertime treat! 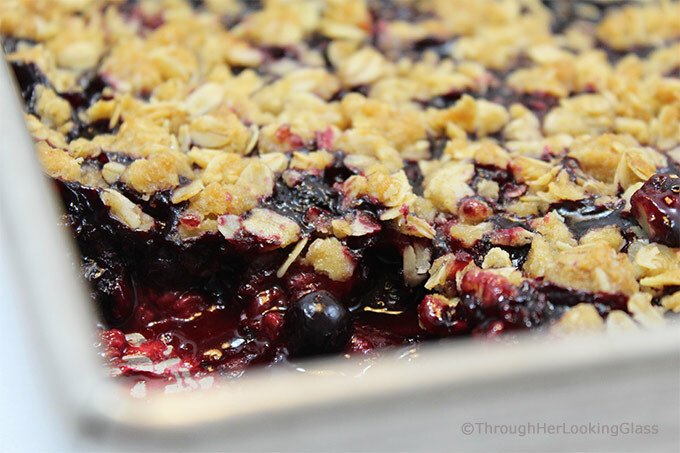 There's nothing better than fruit eaten right off the bushes, unless it's fruit baked into a delicious crumble! 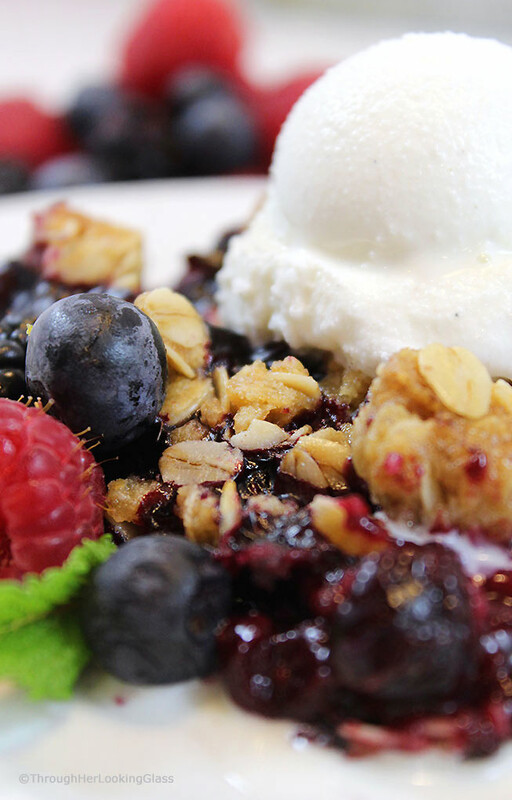 Love all the berries in this delicious looking dessert! I'm sure your family loves your fruit crumble , I know I would.